Happy Sunday listeners! 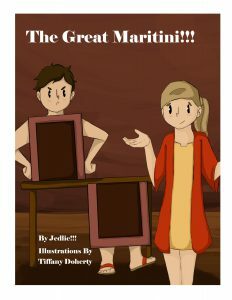 Today on the Reading with Your Kids Podcast, we’re doing things slightly different. Instead of having an author to talk about their children’s books, we sat down with a Christian recording artist Annie Wolaver Dupre to discuss her latest release What Every Child Should Know About God. Annie is a violinist and vocalist, a wife, a mother and a member of Annie Moses Band, America’s premier classical-crossover string & vocal band. 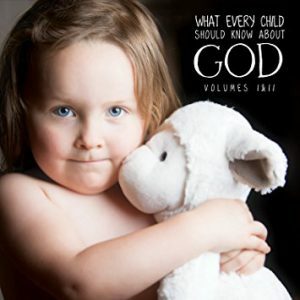 What Every Child Should Know About God is a children’s album. Filled with catchy and classy songs that will have your child singing and dancing to the beautiful and positive messages about God’s love and His creation. This episode is full of important information and essential advice for all the parents out there. Be sure to tune in! Annie Wolaver Dupre is a violinist and vocalist, wife and mother. Named after her great-grandmother, Annie Moses, she was born with a love of singing. At the inspiration of her mother, Annie began violin lessons the week before her fifth birthday. A natural performer and musician, Annie excelled from a young age, winning many local, state and national competitions. At the age of 13 she made her debut as soloist with a professional orchestra and at 15 was accepted as a scholarship student to the pre-college division of the Juilliard School where she was a featured chamber musician and concert mistress of the Juilliard Pre-college Orchestra. In 2001 Annie was accepted as a scholarship student to the collegiate division of the Juilliard School. Though her early ambitions took her to great heights as a classical musician, Annie’s love for singing and the joy of making music with her siblings led her, alongside her family, to found the Annie Moses Band. Annie considers each opportunity to perform and create with her family to be a great gift. In 2010 Annie married Scott Dupre, and they are now the parents of two children. In addition to her love of music, Annie enjoys traveling, reading, fashion, naps, cooking, and sharing great food with her family. Her epicurean passions include iced tea, dark chocolate, berries, bread pudding, fried squash, and toast. From the prodigious talents of Annie Moses Band, What Every Child Should Know About God is a two-part album that will illuminate a child’s world with truths about God and His love for us. Every song brims with dancing melodies, set to beloved, everlasting Scriptures. Award-winning songwriter Robin Wolaver, founder of the Annie Moses Band, and her composer-husband Bill, have crafted charming original songs that are easy to understand and teach the essential truths of God’s character. Click the Amazon link below to get your copy of “What Every Child Should Know About God” today and share them with your little ones, to exercise the mind while resting the heart. Annie tells us about her band’s decision to name their new record this? What does Annie think is the message of her band’s music? What does she hope people continue to take away from her songs? Future projects from her band and much more. Grab a cup of coffee or tea, sit back, and enjoy the interview! A big thank you to Annie Dupre for joining us and for sharing her music & her passion with us! Finally, where can you find Annie Moses Band on the internet? Join us on Tuesday for another episode of the Reading with Your Kids podcast! PreviouslyJoin Ziggy & Tiggy on their Journey Through the Jungle!